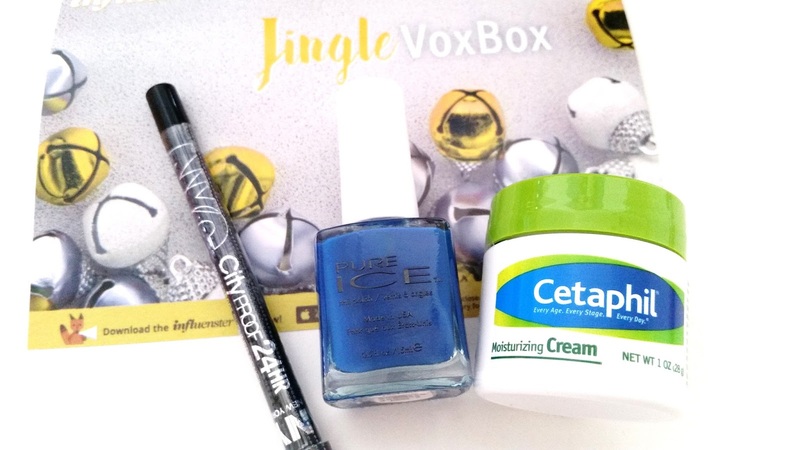 Today, I want to share an unboxing of Influenster's Jingle Voxbox. 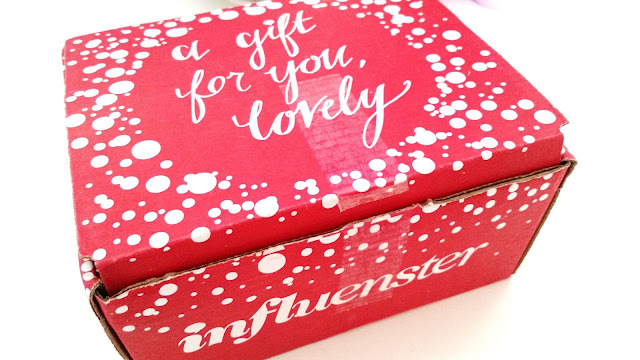 If you haven't heard about Influenster yet, it's a community of savvy shoppers that share reviews of products, get the latest product news, expert tips, test products for free, and more. Influenster started off small but has grown tremendously over the years. A lot of people participate in it and it seems like they are always sending out new voxboxes. 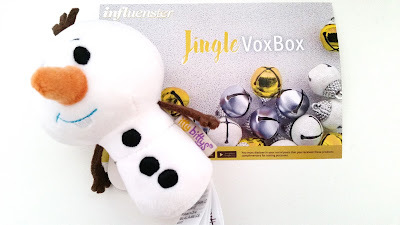 Anyways, it seems that every year Influenster sends out a holiday themed voxbox and this year is this Jingle Voxbox. When I opened the box I was like whoa, because it was packed full with goodies. As with most voxboxes, this box came with a card to share a bit about each product. A lot of the products in this box are pretty neat. Some of which I might have never discovered myself. So, let's get to know these goodies. These are cookies for coffee. They are delectable and crunchy with a unique taste and flavor. 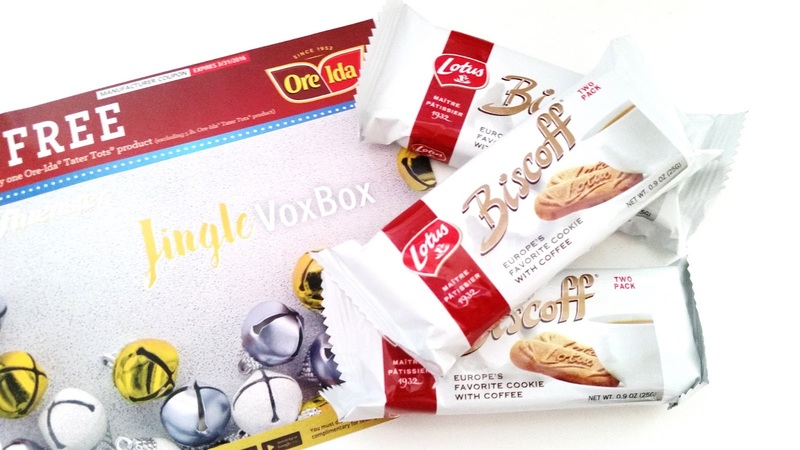 The Lotus Biscoff company has been around since 1932 and they have been Europe's favorite cookies with coffee. These are some yummy cookies. They are great to pair with coffee but also pretty darn good on their own. I think most people know what these are. Tater Tots are quite popular and I remember having them more often as a kid. Though, these days not so much. This box came with a coupon for these Tater Tots, so I will most likely pick them up on my next grocery trip. Ah falsies, these came just in time for the holiday season. I have used Kiss lashes before and they were pretty decent, so I am happy with them. These did blend in with my own lashes nicely and didn't look overly dramatic or anything. This is interesting. I don't think I've had other lash adhesives that has aloe in it. I didn't use this over the holidays because this is new to me and I didn't want any potential issues. However, I will test it out. Hopefully, it won't irritate my eyes. This lash adhesive is supposed to be long lasting and has scents of aloe. I think I'm having eyeliner backlogs these days, so I will probably save this one for a later time. I have used NYC's eyeliners before and I'd say they are okay. This City Proof 24HR eyeliner is supposed to be waterproof and has lasting color. I will have to test it and see. This is a pretty blue color that actually looks quite nice. I tested on 2 of my nails and two coats gives good color payoff. They aren't super long lasting on its own, so top coat is a must. I already have a color similar to this, so if I saw this at the store I probably won't get it. However, if you are looking for this color, this polish comes at a good price and is worth a try. I actually have this at home. I have a feel body lotions that I switch between when my skin gets dry and this is one of them. It does the job. It does take some time for the moisturizer to absorb fully though. However, it's not greasy and leaves the skin feeling moisturized. I think this sample size is so adorable. I might keep it in my work bag for on the go uses. This had me all smiles when I saw it. It's Olaf and it's adorable. I actually ventured onto the Hallmark site to check out the other itty bittys and I have to say they've got quite the collection. I have mine sitting on my work desk now and it adds a nice touch to the decor. I think this would make great gifts and they come in various itty bitty sizes too. Final Thoughts: Overall, this is a pretty great box. 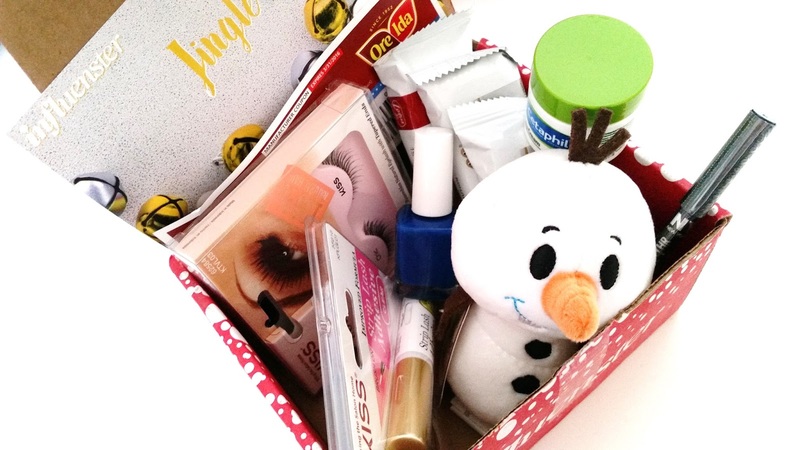 Like all holiday voxboxes, these came with a variety of products that can be used for a variety of occasions. This box came with a few unique products and the Olaf itty bitty is a nice cute touch. 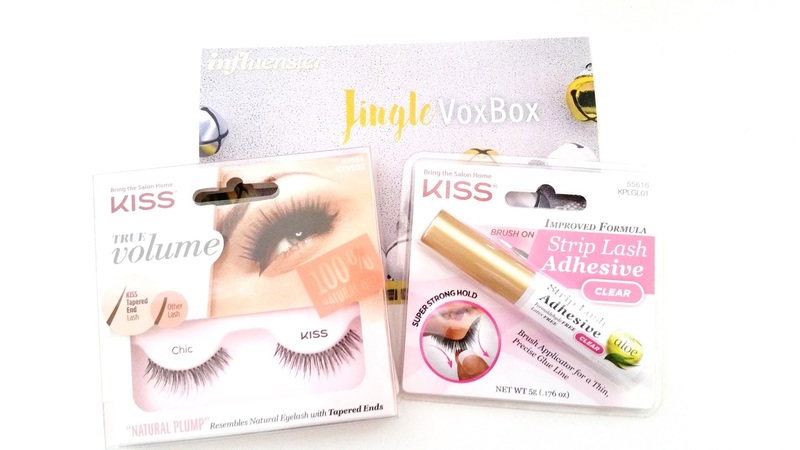 If you would like to learn more about Influenster, you can check them out here. Follow us on our social media platforms to see what we are up to and get the latest news on beauty, reviews & Momo! Disclaimer: These products were provided to me for review purposes. All opinions are honest and my own. This post contains some referral links, full disclaimer here.